Was curious as to what those odd apparent bandoliers were for on several FJ in this pic. Over on CoC FB board someone opined they were ATR cartridges, but then Andy Sykes said they were rifle grenades and provided a pic. This led me to wonder how much ammo GL equipped Germans in CM were carrying for that weapon? If my eyes are to be believed, it's 13 for FJ IRL, and I presently have no equivalent pic for Heer. How are GL ammo loads handled in CM, is there a split ref grenade types, and are there differences between FJ and Heer? 1 rifle grenade cup launcher and 30 ammo (15 HE and 15 HEAT) in a pair of bags each one infantry squad and in combat. There´s more in the Inf. Coy ammo baggage train. I always wondered BFC made that ammo so scarce in the game. Maybe the TacAI would use these as sorta pocket artillery I don´t know. How are GL ammo loads handled in CM, is there a split ref grenade types, and are there differences between FJ and Heer? there´s 30mm ammo in unit detail tab for HE and HEAT have their own icon. Differences in game, I think not. At least should not. Luftwaffe Jagers had a different grenade launcher device in 1939/40 while the later cup launcher was introduced and distributed to heer units as well around mid 1942. From then on it was standard for all and produced til end of war. I want to know what ammo the walking stick fired. me guesses a V3, a prototype for that Georgi Markov assassination device couple years later. HAHAHAHAHAHAHAHAHAHA .... For those times when "lol" just doesn't cut it. I'd have to check with brother George, but late war VGD platoon organization featured a 3-man (3 x GL) GL section, providing the Platoon Leader with his own FS unit, if you will. Apparently, the idea was trialed and worked well in combat. I'd imagine three such rounds hitting a target simultaneously or closely spaced would be quite effective. Spoke with George a few hours ago and got the skinny. Per the November '44 KStN, the VGD StG44 Platoon was reorganized by reducing each squad by one man (from 9 to 8), in order to form the three-man FS team under the Platoon Leader. Platoon head count remained the same, but the GLs were made more potent by massing them under the direct control of the Platoon Leader. This is how some the carrying bags looked like, at least for Heer units. Haven´t yet found a period pic with german soldier carrying one, but I know these exist somewhere in the net or burried in some books I have. The german approach concentrating these in a Plt HQ support unit wasn´t new actually. Beside that these small support teams were raised ad hoc for all of the war, one can see quite oftenly that this was a rather frequent affair in WW1, all nations forces concerned. Yet I still like to see more realistic combat loads for germans in the game. Maybe for US and others as well, but I don´t have figures for their combat loads at hand. the man is equipped with a 40 MP !!! New but related question. The November 1944 KStN restructured the VG StG44 Platoon by pulling the GL equipped man out of each squad (reducing it from 9 to 8) and placing the resultant 3-man team under direct command of the PL as his organic FS. yet the balance of the ammo over and above the one bandolier as above was previously held within the squad, leaving, post-reorg, each GL guy with two bandoliers to schlep personally, since there was no longer a squad member to carry the other. 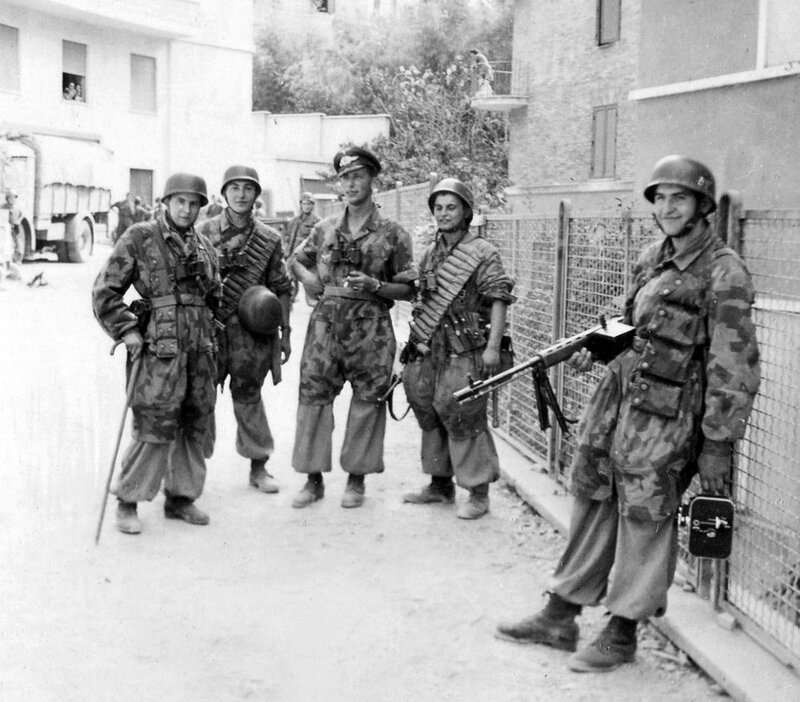 Are the VG GL guys in the November 1944 and later VG StG44 platoons carrying 30 grenades each? This is a matter of interest to me in terms of both CMFB knowledge and for what it may mean in terms of CoC depiction, too. Read this material and tell me if you still think so afterwards. Later in the war, even more potent HEAT was fielded, easily recognized by the over caliber warheads extending beyond the launcher cup. It was 30 (2x15) carried in the bags shown above. Either hung on the neck or shoulder of a single soldier. No idea about the para bandoliers. Haven´t seen these before. 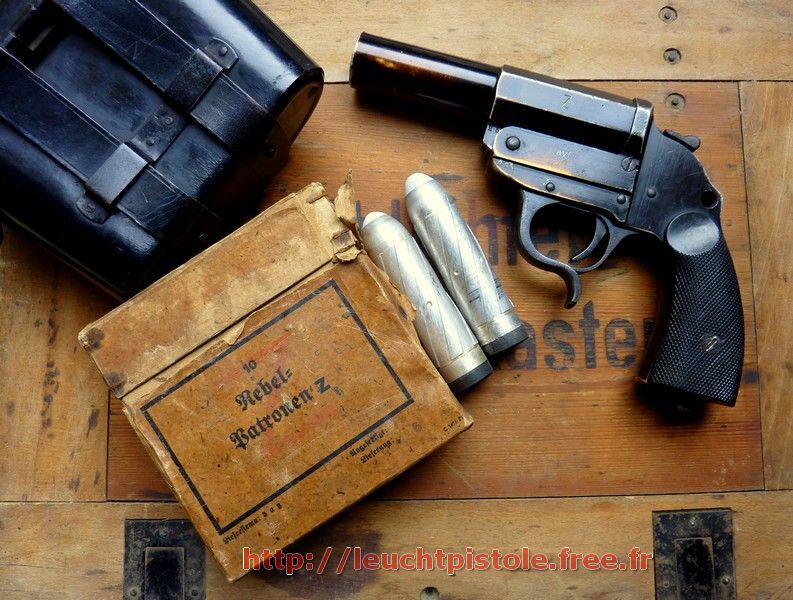 As a relic hunter I´d repeatedly had those rifle grenades under the coil and these can be found oftenly on western german former WW2 battlefields. I had one the Grosse Gewehrpanzergranate (HEAT) even in hands, since it had no fuse. Quite a biggie when compared to the standard 30mm HE. The local EOD´s dealt with these afterwards. Was responding to Kettler´s ammo load out post regarding normal RG. But you are right my friend.